Kelly D. Hine helps business clients resolve disputes. 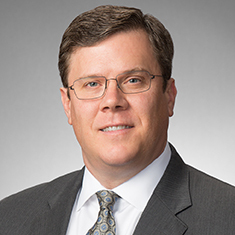 With more than 20 years' experience representing plaintiffs and defendants in complex, multiparty actions, Kelly is a first-chair trial lawyer who has litigated in courts and arbitration tribunals throughout the United States. He has also successfully argued multiple appeals before the US Courts of Appeals for the Fifth, Ninth, and DC Circuits. Kelly's practice regularly involves lawsuits over trade secrets, contracts, commercial torts, non-disclosure/noncompetition agreements, trademarks, copyrights, patents and antitrust matters. His diverse clients include private equity funds and their portfolio companies, public companies and their senior officers, high-net-worth individuals, entrepreneurs and investors. A frequent speaker on ethics issues for business lawyers, Kelly is actively involved in the Judiciary Committee and Courthouse Committee of the Dallas Bar Association, is a Sustaining Life Fellow of the Texas Bar Foundation, and is a member of the State Bar of Texas working group addressing the Texas Uniform Trade Secrets Act. Shown below is a selection of Kelly’s engagements. Representation of a semiconductor company in suit against a former executive employee on breach of a confidentiality agreement; obtained jury verdict with seven-figure award. Representation in a matter seeking disclosure of a client's confidential and proprietary documents; obtained vacatur and dismissal of a default judgment, and successfully defended the result on appeal to the US Court of Appeals for the District of Columbia Circuit. Successful defense of fraud, breach of fiduciary duty and breach of contract claims brought against a private equity fund, fund executive, portfolio company and portfolio company executives in post-investment lawsuit by the co-founder of a SaaS company. Defense of a SaaS company against claims asserted by a key customer of the company arising from a data breach that disclosed the customer's information. Obtained a confidential resolution of the dispute without litigation that included payment of the full benefits of a cyber-insurance policy and preserved the ongoing business relationship of the company and its key customer. Successful defense of fraud, breach of fiduciary duty and breach of contract claims brought against a private equity fund and fund executive in post-investment arbitration by the former owner of a manufacturing company. Successful representation of a former executive in a suit for breach of a stock option contract. Obtained a multimillion-dollar jury verdict for plaintiff, and argued successfully in defense of the judgment on appeal to the US Court of Appeals for the Fifth Circuit. Representation of a semiconductor company in suit against nine former employees who were involved in the design and engineering of integrated circuits for power supply control functions and who resigned en masse to accept jobs with a direct competitor. Obtained a temporary restraining order and permanent injunction prohibiting the defendants from contacting certain customers, using or disclosing the client's trade secrets, and soliciting or hiring the client's employees. Representation of a semiconductor company in litigation against a former senior engineer who resigned under suspicious circumstances and began working for a competitor in the same field. Obtained a temporary restraining order enjoining the former employee from working for the competitor, resulting in the individual's resignation from the competitor and returning to work for the client. Successful defense of law firm and investigator hired by law firm in civil SEC investigation of alleged insider trading and collusion between law firms and hedge funds known for taking "short" positions on stocks. After receiving client's "Wells" submission, the SEC closed its investigation without instituting a civil action. Defense of automobile auction in an antitrust action brought by an automotive transport service alleging plaintiff was wrongfully denied access to an "essential facility." On a motion by the client, the court found that plaintiff's claims were not legally tenable or factually sufficient to warrant a trial; obtained summary judgment that was upheld by the Texas Court of Appeals for the Eighth District. Defense of a film director and production company in a defamation and invasion of privacy lawsuit. An individual who appeared in the trailer to an Oscar®-nominated documentary film alleged that the use of his image misappropriated his likeness and harmed his reputation. Successfully moved to dismiss, with court ruling that plaintiff failed to state a claim upon which relief could be granted. Texas Lawyer, Garriott v. NCSoft Corp. verdict chosen for "Texas Verdicts Hall of Fame"
Garriott v. NCSoft Corp. verdict chosen for "Texas Verdicts Hall of Fame"